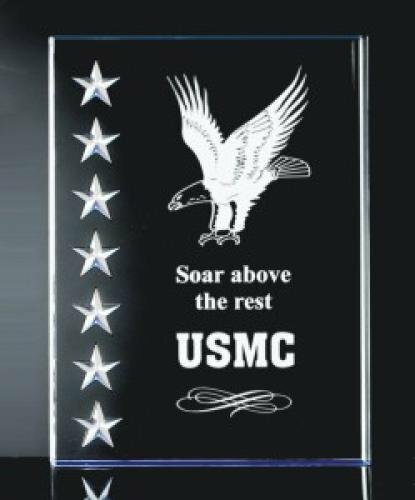 This acrylic award is crafted from the finest acrylic and polished by hand to perfection. It features 3 dimensional stars carved deep into its surface! Part of our patriotic award collection, it is available in your choice of blue, red, green, gold or purple reflective bottoms.